I have said it a thousand times that I am no fan of shabby chic, granny chic, cottage retro, call it what you will I hate it but what many forget is that chalk paint does not mean any of those things. What chalk paint really means is no sanding prep – well Amen to that. The truth is it is a versatile paint that can be used to achieve a variety of looks so I was more than happy to team up with Sarah Jayne Chalk Paints when she reached out last year. 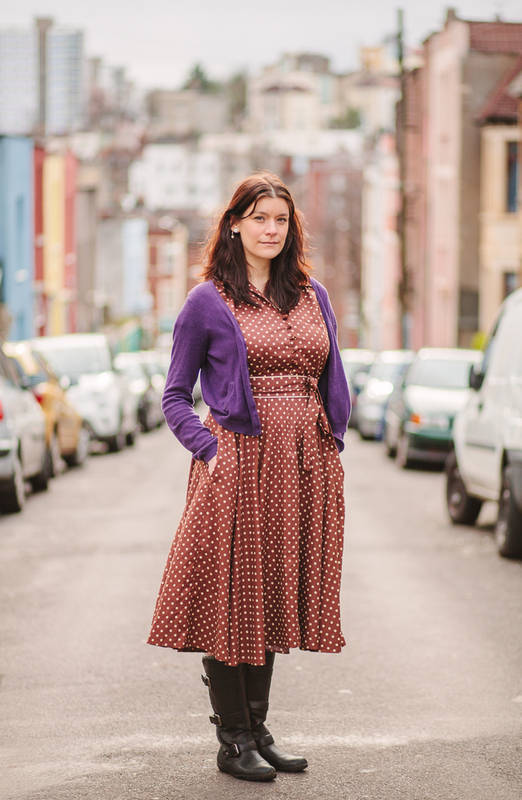 I actually saw her demonstrate her paints when they were Everlong at our WI meeting pre children, it seems like a lifetime ago, and yes the WI is cool, well the one Hebden Bridge is so no judgment please. 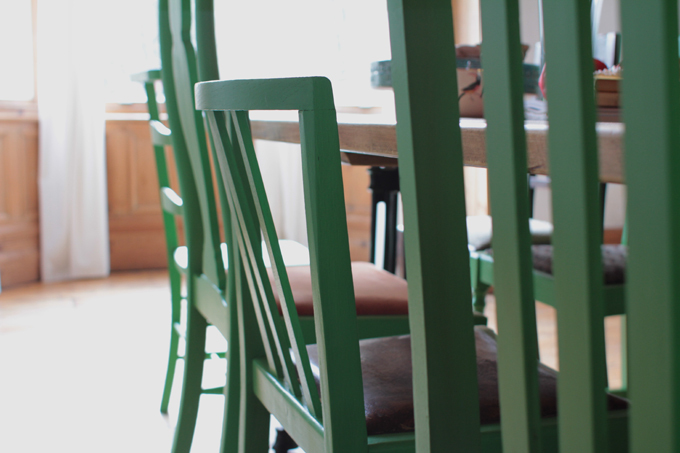 We chatted about how we could use her product and I had been meaning to paint my dining chairs so this was great timing and the kick up the arse I needed to move forward with this project. 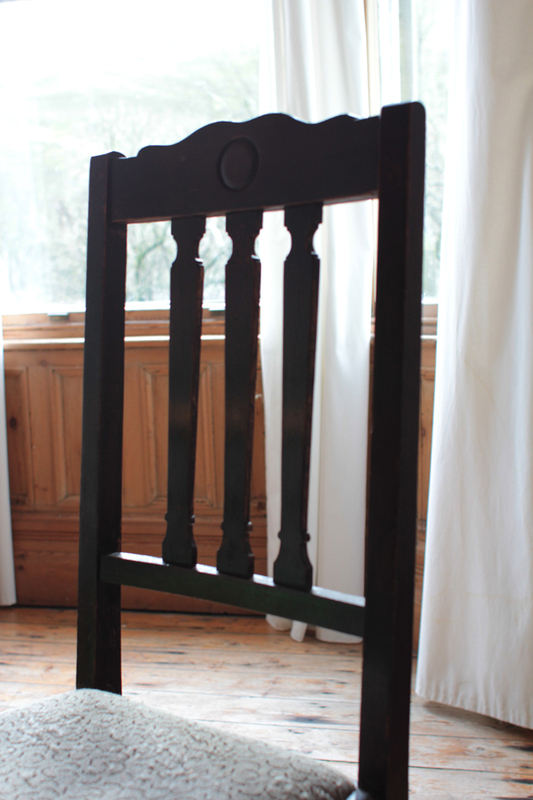 I have been collecting the 8 dining chairs needed for 3 years so time was marching on. 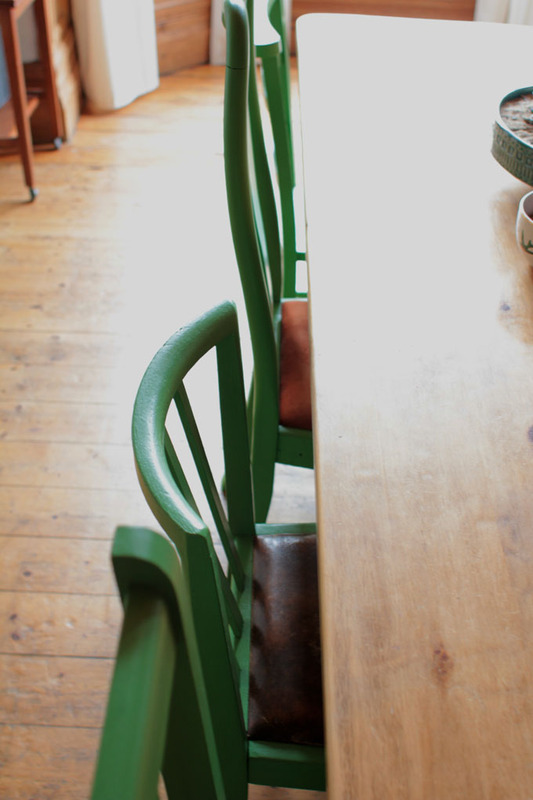 I wrote a lovely post with Chairish a while back extolling the virtues of painted chairs and highlighting the different looks that could be achieved with one simple task. I say simple but in truth painting chairs is a labour of love there are so many bloody sides! When the paint arrived I initially thought wow they are being pretty stingy with the amount of paint I have 8 chairs to do! It turns out that a 1litre paint tin was more than enough and they are right to have such faith in their product. The chairs I used were quite dark wood as you can see from the before picture and they were all covered in 2 coats with a little left to spare to touch up – you will always find that you missed a bit when it comes to painting chairs. Clean your chairs you may not be sanding them but you want to have them clean and dry. Take out the seat pads and check for any repairs needed, if you have second-hand chairs this is important as you want them to be sturdy. Check for drips, the many many edges of chairs mean there are many many chances for drips so keep checking and smooth them out with the feather-lite tip of a brush. Regardless of the paint you choose to use ALWAYS to thin multiple layers not thick coats. I have used other chalk paints and I can honestly say I love this brand. How is it different? First off it is not as gloopy as other brands I found it a lot easier to get a flat finish with Sarah Jayne Chalk Paint. The other thing that sets this brand apart is there is no need to wax. Yes you heard me right another godsend in my book. All you have to do is buff the paint with a cloth as opposed to wax then buff. It is non toxic and toy safe which is an added bonus when you have children or pets that like to lick things! 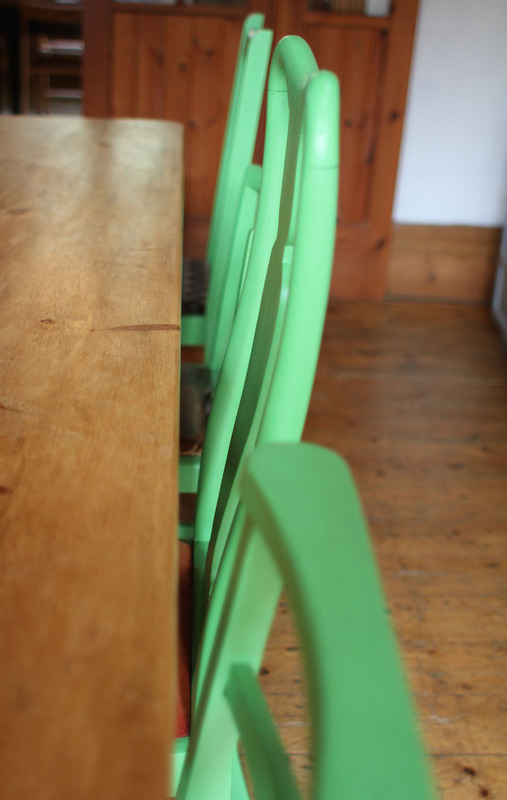 After further thoughts I spoke to Sarah Jayne Paints and as dining chairs get such heavy use and get moved around all the time I opted to coat them with their water-based sealer. 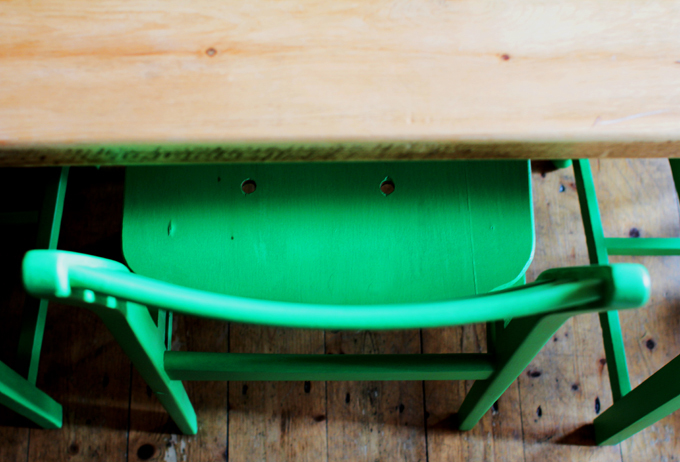 It is one coat and gives a lovely matte sheen to the chairs. 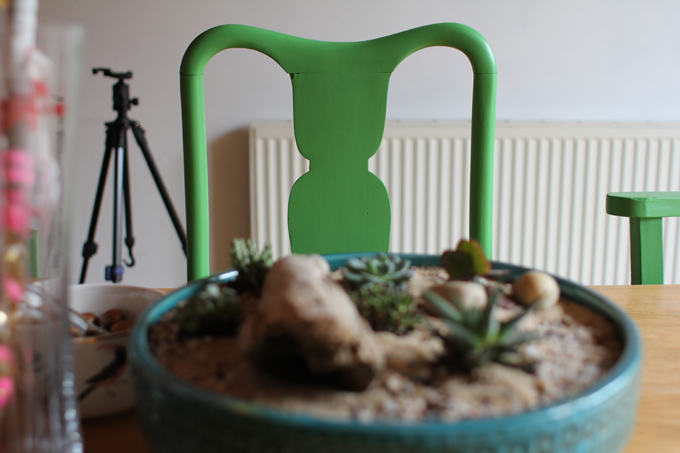 I am absolutely in love with the chairs now and so happy that I finally got round to doing this. Now all I need to do is recover the seat pads, finish the dining room etc etc…. For now I am just happy that I have my wonderful painted chairs. *although I worked with Sarah Jayne Paints on this post all of my thoughts and opinions are my own. You've done a great job with the chairs. Chalk paint is great and I think some people do forget that it's not just for shabby chic projects. Wow, you've done an amazing job and I love the colour, very vibrant and cool. Makes me want to update my firniture too! These are gorgeous and what a beautiful colour! They really pop. I so needed to read this right now! I'm looking to do some projects in my home, and this can really help me out with my chairs!